Just an update to what is going on at the moment. My PC is up and running although in the end I didn’t bother RMAing the Antec Kuhler H20 920 that started acting up. 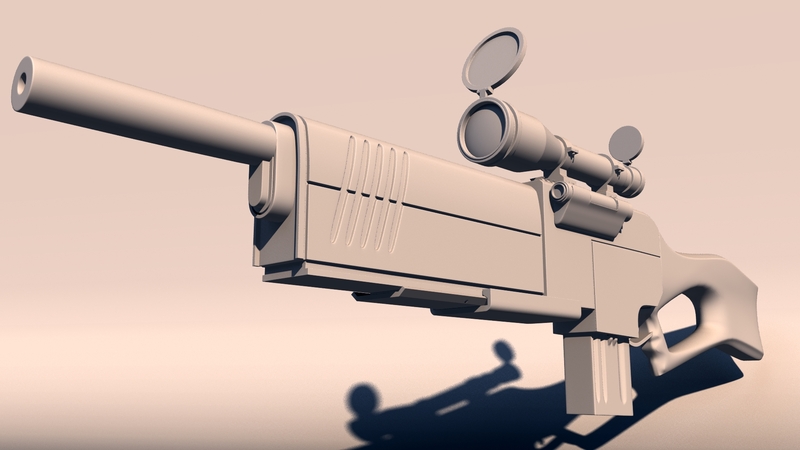 This past week I have been modelling the pulse rifle that I found on an old model kit I have of Motoko Kusanagi from Ghost in the Shell. It is one of my favourite anime films, along with Ninja Scroll. Work obviously needs to be done on the grip/stock as it is pretty horrendous – as well as small/micro detailing the body. Anywho, so I will hopefully get that finished by the weekend and then on Monday I can start an Arch-Viz tutorial. I have signed up to go to the Intro to VRay at Escape Studios up in London on the 5th of November. This does of course mean that I shall be missing my Bonfire Night plans, but it shall be worth it. I haven’t managed to use VRay before and I am hoping it will get my feet wet, and for £25 I consider it money well spent. I wish that I could afford to spend more time up there and do maybe another course, but it is all time away from my PC where I can be finishing off the few projects I need to get done by February! I will also be seeing a friend or two, my brother and his wife and my girlfriend – so all in all a good few days up in London! !